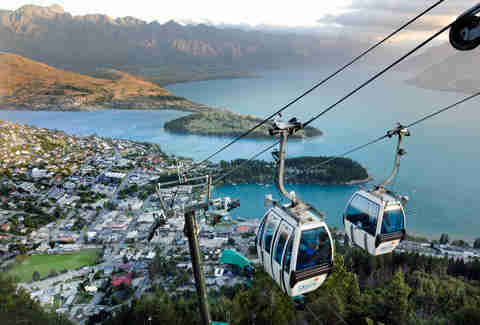 Attention Kmart shoppers: the world’s first ever human catapult just launched (sorry) in Queenstown, New Zealand. 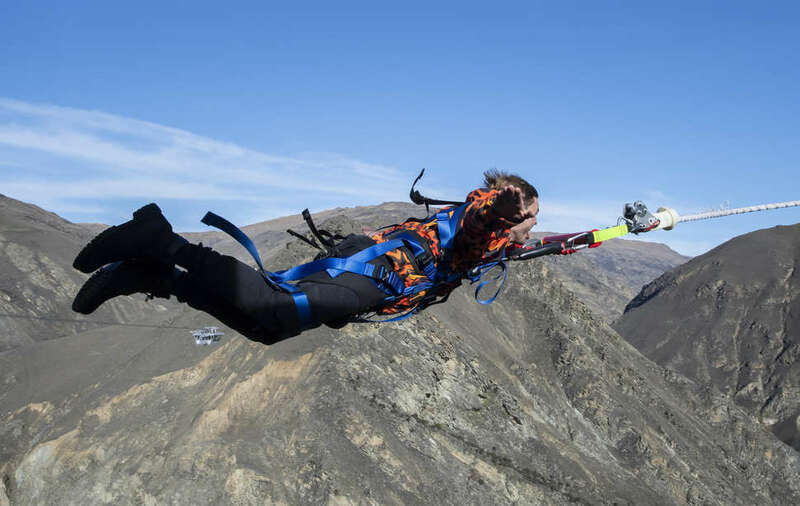 Open to the public as of today, the Nevis Catapult comes to us from the good folks at AJ Hackett Bungy NZ, the company responsible for commercialising and popularizing bungy jumping as we know it. So if you a) have $172, b) are older than 13, and c) weigh equal to or under 280 pounds, well, get thee to New Zealand. You’ve gotta try this thing. For those of you just picturing someone literally being flung through space, don’t worry, you’re obviously attached to something. You get outfitted with a harness and strapped into the catapult’s high-tech winch system. At the platform’s edge, you’re lifted off the ground, eased into a horizontal position, and then rocketed 492 feet out across the Nevis Valley, reaching more than 60 miles per hour almost instantly. The whole ride, as it were, takes three to four minutes from start to finish. After you drop, you bounce for a bit, and are eventually hauled back up (a process that actually looks much more dignified than with bungy jumping, which requires an upside-down you to reach up and release a clip that sets you right-side-up, failure to do so meaning that you are simply hauled up feet-first flopping like a salmon). “The experience is exhilarating,” cofounder Henry van Asch told me. “Up to 3Gs of force and acceleration of around [62 miles] in 1.5 seconds is not your typical experience -- and I think people are going to get a pretty big kick out of it. For me, the most exciting part of it is how surprising it is -- the speed, the height, and the sudden drop. You don’t know exactly when you’re going to go either and that adds to the fun. Queenstown (which happens to be on our list of the best places to travel right now) has long enjoyed a successful self-branding as the “adventure capital of the world.” When I passed through there backpacking a few years ago I did both the Nevis Bungy (the company has three bungy jumps around Queenstown, but at around 440 feet this one is the highest in New Zealand, and among the highest in the world) as well as the Nevis Swing, which now shares its pod with the Nevis Catapult.